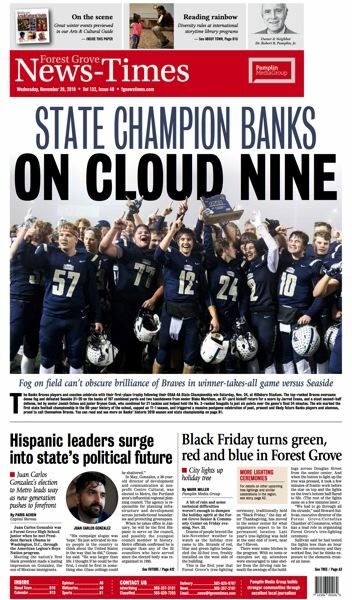 The delivery of this week's edition of the Forest Grove News-Times will be delayed by one day as the U.S. Postal Service observes a national day of mourning for former President George H.W. Bush on Wednesday, Dec. 5. The News-Times is typically delivered on Wednesdays. But its distribution will be delayed this week until Thursday, Dec. 6. For more information, call the News-Times' circulation department at 503-620-9797.